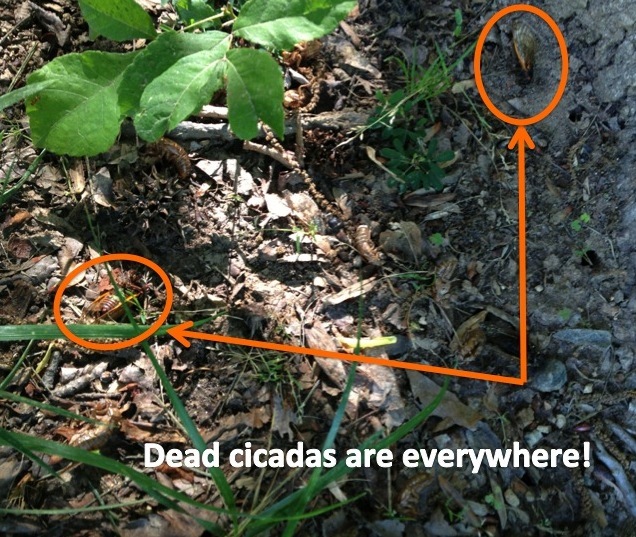 Thank you for participating in our cicada citizen science study. Please read the following directions carefully. Sampling has been successfully completed, and we are no longer accepting submissions. Thank you for your participation! 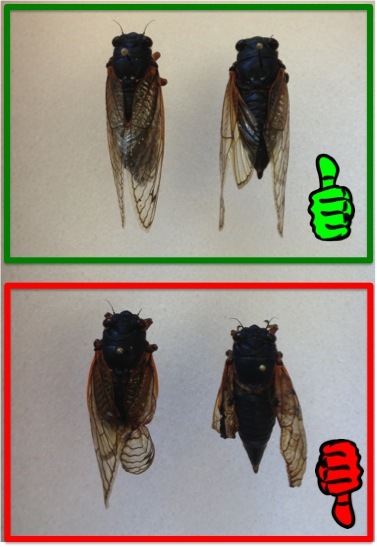 Please collect 5 – 10 individuals of periodical cicadas (Magicicada spp.) from a single location. Collect dead ones – Believe us when we tell you that the dead cicadas will be easy to come by, particularly 1-2 weeks after the onset of emergence. Note that we are only collecting periodical cicadas – recognizable by their bright red eyes, black bodies and orange wing venation. 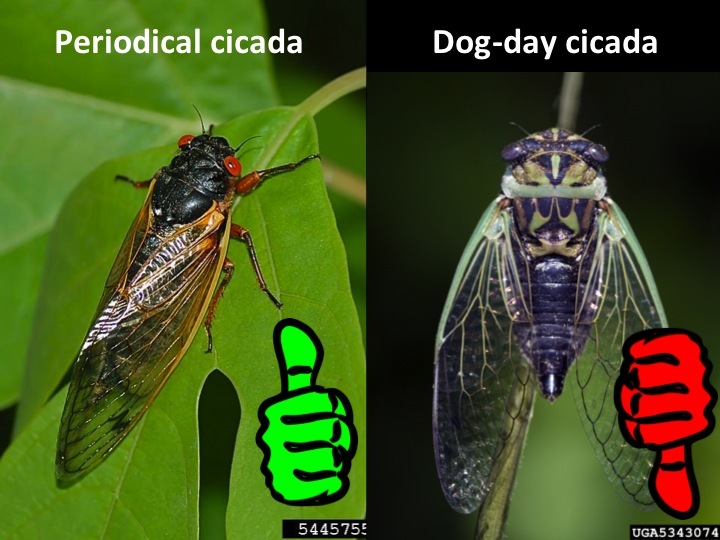 We do not want any of the green and black annual “dog-day” cicadas. Admire them, but do not send them. Do not collect cicadas with crinkled or torn wings. We recommend placing cicadas in a small plastic container – like those you pick-up at the deli counter or with restaurant takeout. You could also send in a sealable Ziploc bag, but please place bag in a small box surrounded with tissue paper or bubble wrap so that the cicadas do not get jostled, damaged, or crushed during transport. We will gladly accept cicadas collected by a single individual, family, or classroom from multiple locations. But PLEASE keep cicadas collected at each location in separate, marked containers.